ASSESS. COMPLY. REDUCE RISKS. WITH SYMANTEC DISCOVERY. Does your organisation deploy multiple SSL/TLS certificates? expiry date of every single certificate? Take the unknowns out of enterprise SSL/TLS certificate management. Thank you for taking the time to fill in our form, by clicking SUBMIT you agree to Symantec (UK) or its affiliates processing your data in accordance with the privacy notice. Download our case study to learn how well-known Finnish financial services company LocalTapiola reduced the risk to their business’s continuity and saved time for valuable resources with Symantec Discovery. Symantec Discovery is just one feature of Symantec™ Complete Website Security, a solution that goes far beyond encryption. To learn other ways in which Symantec could help your organisation, watch our video. *TERMS & CONDITIONS: Upon agreement to our licensing statement you will be contacted by Symantec within 3 business days to arrange your trial. Your trial period can begin 2 business days from Symantec contacting you. Symantec will install an external sensor for you and activate a trial account on Certificate Intelligence Center for you. The length of you trial will be 14 calendar days. Your trial will give you access to the Discovery platforms dashboards for this period and display scans of any public domains in your system. Please note, only public domains can be scanned with the trial version, no internal domains will be scanned or reported on. Reports will only be available in the dashboard. Your trial does not allow you to export data from the platform. Any data will only be available during the trial period and not thereafter. Before we can submit your request for a free trial, please read and accept the following Licence Agreement. SYMANTEC CORPORATION AND/OR ITS AFFILIATES (“SYMANTEC”) IS WILLING TO LICENSE THE LICENSED SOFTWARE TO YOU AS THE INDIVIDUAL, THE COMPANY, OR THE LEGAL ENTITY THAT WILL BE UTILIZING THE LICENSED SOFTWARE (REFERENCED BELOW AS “YOU” OR “YOUR”) ONLY ON THE CONDITION THAT YOU ACCEPT ALL OF THE TERMS OF THIS LICENSE AGREEMENT (“LICENSE AGREEMENT”). READ THE TERMS AND CONDITIONS OF THIS LICENSE AGREEMENT CAREFULLY BEFORE USING THE LICENSED SOFTWARE. THIS IS A LEGAL AND ENFORCEABLE CONTRACT BETWEEN YOU AND SYMANTEC. BY CLICKING THE “I AGREE” OR “YES” BUTTON, OR OTHERWISE INDICATING ASSENT ELECTRONICALLY, OR LOADING OR OTHERWISE USING THE LICENSED SOFTWARE, YOU AGREE TO THE TERMS AND CONDITIONS OF THIS LICENSE AGREEMENT. IF YOU DO NOT AGREE TO THESE TERMS AND CONDITIONS, CLICK THE “I DO NOT AGREE” OR “NO” BUTTON OR OTHERWISE INDICATE REFUSAL AND MAKE NO FURTHER USE OF THE LICENSED SOFTWARE. License Rights. Subject to Your compliance with the terms and conditions of this License Agreement, Symantec grants to You a non-exclusive, non-transferable license to use a reasonable number of copies of the Licensed Software solely in support of Your use of the Symantec Managed PKI for SSL Certificates (“MSSL”) Service for which You have a license. “Licensed Software” means the Symantec software program, in object code form, accompanying this License Agreement, including any associated program documentation included in, or provided for use with, such software. License Restrictions. You may not, without Symantec’s prior written consent, conduct, cause or permit the: (i) use, copying, modification, rental, lease, sublease, sublicense, or transfer of the Licensed Software except as expressly provided in this License Agreement; (ii) creation of any derivative works based on the Licensed Software, except as expressly provided in this License Agreement; (iii) reverse engineering, disassembly, or decompiling of the Licensed Software (except that You may decompile the Licensed Software for the purposes of interoperability only to the extent permitted by and subject to strict compliance under applicable law); (iv) use of the Licensed Software in connection with service bureau, facility management, timeshare, service provider or like activity whereby You operate or use the Licensed Software for the benefit of a third party; or (v) use of the Licensed Software by any party other than You, except as expressly provided in this License Agreement. Ownership/Title. The Licensed Software is the proprietary property of Symantec or its licensors and is protected by copyright and patent laws. Symantec and its licensors retain any and all rights, title and interest in and to the Licensed Software, including in all copies, improvements, enhancements, modifications and derivative works of the Licensed Software. Your rights to use the Licensed Software shall be limited to those expressly granted in this License Agreement. All rights not expressly granted to You are retained by Symantec and/or its licensors. Third Party Programs. This Licensed Software may contain third party software programs (“Third Party Programs”) that are available under open source or free software licenses. This License Agreement does not alter any rights or obligations You may have under those open source or free software licenses. Notwithstanding anything to the contrary contained in such licenses, the disclaimer of warranties and the limitation of liability provisions in this License Agreement shall apply to such Third Party Programs. Warranty Disclaimer. THE LICENSED SOFTWARE IS PROVIDED “AS IS,” EXCLUSIVE OF ANY WARRANTY, INCLUDING, WITHOUT LIMITATION, ANY IMPLIED WARRANTY OF MERCHANTABILITY, SATISFACTORY QUALITY, FITNESS FOR A PARTICULAR PURPOSE, NONINFRINGEMENT, OR ANY OTHER WARRANTY, WHETHER EXPRESSED OR IMPLIED. Limitation of Liability. TO THE MAXIMUM EXTENT PERMITTED BY APPLICABLE LAW AND REGARDLESS OF WHETHER ANY REMEDY SET FORTH HEREIN FAILS OF ITS ESSENTIAL PURPOSE, IN NO EVENT WILL SYMANTEC BE LIABLE TO YOU FOR ANY DIRECT, SPECIAL, CONSEQUENTIAL, INDIRECT OR SIMILAR DAMAGES, INCLUDING ANY LOST PROFITS OR LOST DATA, ARISING OUT OF THE USE OR INABILITY TO USE THE LICENSED SOFTWARE, EVEN IF SYMANTEC HAS BEEN ADVISED OF THE POSSIBILITY OF SUCH DAMAGES. SOME STATES AND COUNTRIES, INCLUDING MEMBER COUNTRIES OF THE EUROPEAN ECONOMIC AREA, DO NOT ALLOW THE LIMITATION OR EXCLUSION OF LIABILITY FOR INCIDENTAL OR CONSEQUENTIAL DAMAGES SO THE ABOVE LIMITATION OR EXCLUSION MAY NOT APPLY TO YOU. No Support or Maintenance. Symantec does not offer support or maintenance for the Licensed Software. Export Regulation. You acknowledge that the Licensed Software and related technical data and services (collectively "Controlled Technology") are subject to the import and export laws of the United States, specifically the U.S. Export Administration Regulations (EAR), and the laws of any country where Controlled Technology is imported or re-exported. You agree to comply with all relevant laws and will not to export any Controlled Technology in contravention to U.S. law nor to any prohibited country, entity, or person for which an export license or other governmental approval is required. Term and Termination. This License Agreement will continue as long as You are in compliance with its terms. In the event You breach this License Agreement, it will automatically terminate. Upon termination, You must immediately stop using and destroy all copies of the Licensed Software within Your possession or control. The Ownership/Title, Warranty and Limitation of Liability and General sections of this License Agreement will survive termination of the Agreement. General. You may not assign the rights granted hereunder or this License Agreement, in whole or in part and whether by operation of contract, law or otherwise, without Symantec’s prior express written consent. Symantec may audit Your use of the Licensed Software. If You are located in North America or Latin America, this License Agreement will be governed by the laws of the State of California, United States of America. If You are located in China, this License Agreement will be governed by the laws of the Peoples Republic of China. Otherwise, this License Agreement will be governed by the laws of England. Such governing laws are exclusive of any provisions of the United Nations Convention on Contracts for Sale of Goods, including any amendments thereto, and without regard to principles of conflicts of law. If any provision of this License Agreement is found partly or wholly illegal or unenforceable, such provision shall be enforced to the maximum extent permissible, and remaining provisions of this License Agreement shall remain in full force and effect. A waiver of any breach or default under this License Agreement shall not constitute a waiver of any other subsequent breach or default. This License Agreement is the complete and exclusive agreement between You and Symantec relating to the Licensed Software and supersedes any previous or contemporaneous oral or written communications, proposals, and representations with respect to its subject matter. The Symantec Certificate Intelligence Center Service (“Service”) allows Customer to automate digital certificate discovery tasks, set-up alerts to notify administrators, automate certificate signing request (CSR) generation, certificate issuance and subsequent installation on supported applications when digital certificates require renewal or maintenance. This Service is only available to a Customer who also uses the Symantec Managed PKI for SSL Certificates (“MSSL”) Service. This Service Description, with any attachments included by reference, is part of any agreement which incorporates this Service Description by reference (collectively, the “Agreement”), for those Services which are described in this Service Description and are provided by Symantec. If you already have a Service Agreement in connection with MSSL (the “MSSL Service Agreement”), then this Service Description for Symantec Certificate Intelligence Center Service supplements the MSSL Service Agreement. In the event of a conflict between the terms and conditions contained in this Agreement and the MSSL Service Agreement, the terms and conditions of the MSSL Service Agreement shall control. Web-based Console to perform and maintain configurations and actions, including, but not limited to, rich reporting, data sorting and customization, tagging, user notations, audit logging and other tools. Discovery of SSL certificates and related attributes through Sensors, which are managed through the Console. Configurable discovery scan to create inventory of SSL certificates. Configurable notifications and alerts for status and actions required to maintain SSL certificate lifecycle. Automated CSR generation and SSL certificate issuance. Automated installation of SSL certificates. Customer may: (i) delegate deployment and management responsibilities to one or more individuals within the organization; (ii) set up and manage users with pre-determined roles; and (iii) customize new roles using the permissions settings, all within the Console. Using the License Keys supplied by Symantec, Customer can configure the Sensor and/or Agent to identify networks to scan, schedule the frequency of the scans, determine how the scans are performed across Customer's network(s), identify which servers to automate and configure applications for automation. Automation licenses can be reclaimed and reused by voiding the applicable Sensor or Agent within the Console. Scan using domain names. : Customer may scan using domain names in addition to IP address. Hardware requirements, options, and other information related to the Service are specified in the Installation Guide. Symantec can only perform the Service if Customer provides required information or performs required actions. If Customer does not provide/perform per the following responsibilities, Symantec’s performance of the Service may be delayed, impaired or prevented, as noted below. Customer must keep the "Technical Contact" information in the account up to date at all times to ensure that Customer receives provisioning emails and other time sensitive information from Symantec that affect the account. Maintain accurate email addresses for each administrative user of the Service. Download at least one (1) Sensor and run a scan to use discovery feature of Service. Obtain unique License Keys for each Sensor as required through the Console. Configure alerts and notifications, download and install Agents, and configure desired automation of tasks. If Customer downloads the Sensor as a virtual appliance, Customer may only install and run the virtual appliance image of the Sensor on the virtualization platform Symantec specifies when the Sensor is downloaded. Customer must purchase a separate license for each server IP that is under automation, using the Sensor and/or the Agent. If Customer delegates deployment and management responsibilities, any action taken by such delegate on behalf of Customer shall be deemed as an action taken by Customer. Prior to downloading and installing the Sensor(s) and/or Agent(s), Customer must ensure that each device receiving the Sensor and/or Agent meet the requirements set forth in the documentation. Sensors must be able to communicate with the Console over the Internet, through Customer's infrastructure and through Customer's network firewalls, if applicable, in order to obtain its configuration data and event/action details from the Console. Agents must be able to communicate with one or more Sensors on Customer's network. Customer affirms that: (i) Customer authorizes Symantec to scan, gather, and collect data pertinent to the Service and to automate certificate renewal and upgrade; (ii) Customer will use the Service to scan and automate only the domains, IP addresses, or assets that Customer owns or controls; (iii) Customer will use the Service only for its intended purpose as described and marketed by Symantec. Customer may not: (i) modify, reverse engineer, or create derivative works of, or otherwise make any attempt to build a competitive product or service using the Service; (ii) decompile, disassemble or attempt to obtain the source code for any software provided; (iii) use the Service for or on behalf of any organization other than your own, unless you have that organization's express consent to do so; and (iv) use the Service for competitive benchmarking or comparing the Service with competitor products. Reseller represents and warrants to Symantec that: (i) Reseller has obtained the authority of its customer to enter into the Agreement on behalf of its customer and/or to bind its customer to the Agreement; (ii) Reseller shall comply with and procure its customer's compliance with the Agreement. Technical Support. The following technical support (“Support”) is included with the Service. Technical Support is available on a twenty-four (24) hours/day by seven (7) days/week basis by telephone and email through the Console to assist Customer with configuration of the Service features and to resolve reported problems with the Service. Also, Customer has access to self-service assistance through the Console. Support levels and service level commitments for Customer's selection for MSSL shall apply to Customer's use of the Service. No service level commitments will apply with respect to the Service unless a Gold or Platinum Service Fee obligation is in effect. Planned Maintenance. For Planned Maintenance, Symantec will use commercially reasonable efforts to give Customer seven (7) calendar days’ notification, via email, SMS, or as posted on the SMC. Symantec will use commercially reasonable efforts to perform Planned Maintenance at times when collective customer activity is low, in the time zone in which the affected Infrastructure is located, and only on part, not all, of the network. If possible, Planned Maintenance will be carried out without affecting the Service. During Planned Maintenance, Service may be diverted to sections of the Infrastructure not undergoing maintenance in order to minimize disruption of the Service. “Planned Maintenance” means scheduled maintenance periods during which Service may be disrupted or prevented due to non-availability of the Service Infrastructure. Emergency Maintenance. Where Emergency Maintenance is necessary and is likely to affect the Service, Symantec will endeavor to inform the affected parties in advance by posting an alert on the applicable SMC no less than one (1) hour prior to the start of the Emergency Maintenance. “Emergency Maintenance” means unscheduled maintenance periods which during which Service may be disrupted or prevented due to non-availability of the Service Infrastructure or any maintenance for which Symantec could not have reasonably prepared for the need for such maintenance, and failure to perform the maintenance would adversely impact Customer. Routine Maintenance (SMC). Symantec will use commercially reasonable efforts to perform routine maintenance of SMCs at times when collective Customer activity is low to minimize disruption to the availability of the SMC. Customer will not receive prior notification for these routine maintenance activities. Customer may not disclose the results of any benchmark tests or other tests connected with the Service to any third party without Symantec’s prior written consent. The use of any Service Component in the form of software shall be governed by the license agreement accompanying the software. If no EULA accompanies the Service Component, it shall be governed by the terms and conditions located at (http://www.symantec.com/content/en/us/enterprise/eulas/b-hosted-service-component-eula-eng.pdf). Any additional rights and obligations with respect to the use of such Service Component shall be as set forth in this Service Description. Except as otherwise specified in the Service Description, the Service (including any Hosted Service Software Component provided therewith) may use open source and other third party materials that are subject to a separate license. Please see the applicable Third Party Notice, if applicable, at http://www.symantec.com/about/profile/policies/eulas/. Symantec shall be entitled to rely upon the correctness of the information and accuracy of the settings Customer provides (including proper installation of the Sensors and/or Agents by Customer) to deliver the Service. Notice of Creative Commons Software: If Customer opts to download Sensor(s) containing Community ENTerprise Operating System (CentOS), an Enterprise-class Linux distribution, such software is licensed under the Creative Commons Attribution-Share Alike 3.0 Unported, a copy of which is provided with the Sensor. If Customer chooses to download and use CentOS, the Creative Commons license will govern its use and the terms of the Agreement shall not apply to such use. These Services are enabled to interoperate with Citrix's NetScaler products and include a license for Citrix nitro.jar software that is licensed for use only in conjunction with Citrix NetScaler products. Use of the Citrix nitro.jar software in conjunction with non-Citrix products is not licensed hereunder. CITRIX NITRO.JAR SOFTWARE IS PROVIDED "AS IS" WITHOUT ANY EXPRESS OR IMPLIED WARRANTY OF ANY KIND AND CITRIX EXPRESSLY DISCLAIMS THE IMPLIED WARRRANTIES OF TITLE, MERCHANTABILITY, NONINFRINGEMENT, OR FITNESS FOR A PARTICULAR PUROSE. 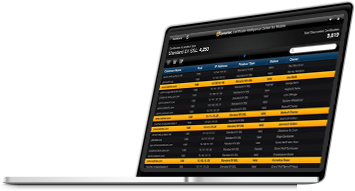 Symantec or Citrix do not warrant or assume responsibility for the accuracy or completeness of any information, text, graphics, links, or other items contained within the nitro.jar software. The Service contains Java open source from Oracle Corporation. Customer's use of the Java portion of the Service ("Java Software") is subject to the following additional terms: Use of the Commercial Features for any commercial or production purpose requires a separate license from Oracle. "Commercial Features" means those features identified Table 1-1 (Commercial Features In Java SE Product Editions) of the Java SE documentation accessible at http://www.oracle.com/technetwork/java/javase/documentation/index.html. Symantec may update the Service at any time in order to maintain the effectiveness of the Service. Refund Policy. If Customer is not completely satisfied with the Services for any reason, Customer must request, within thirty (30) days of enrollment, that Symantec terminate the Services and provide Customer with a refund. Following the initial 30-day period, Customer is entitled to a refund only if Symantec has breached a warranty or other material obligation under the Agreement. This Section does not apply to Customer if Customer purchased the Services from a Reseller. “Activation Key” means a unique, single use, numeric key used to activate a Sensor. “Agent” means the Service-related Software (defined below) application that Customer must download from the Console in cases where the certificate lifecycle will be automated, on supported applications, chosen based on the target hardware architecture and operating system, installed in Customer’s network at appropriate locations, and communicating with one of the installed Sensors to the Console. “Console” means the web-based “Certificate Intelligence Center” application hosted by Symantec and accessed either directly through the provided URL, or through Customer’s MSSL console. The Console provides Customer access to all of the configuration, user management, permissions, and application logic for the Service. “End User License Agreement (EULA)” means the terms and conditions accompanying Software (defined below). “License Key” means a unique numeric key used to activate a single IP address for automation on the Sensor or Agent. “Reseller” means an Internet service provider, a systems integrator, a Web host, a technical consultant, an application service provider, or other entity that obtains the Services for re-sale. “Sensor” means the Service-related Software (defined below) application that Customer must download from the Console, install in Customer’s network at appropriate locations, and configure within the Console for access, performance and activity based on Customer’s requirements. Sensors act as a conduit between the Agent and the Console by facilitating all communications. “Service Component” means certain enabling software, hardware peripherals and associated documentation which may be separately provided by Symantec as an incidental part of a Service. “Service Software” means Software (defined below), as may be required by a Service, which must be installed on each Customer computer, in order to receive the Service. Service Software includes the Software and associated documentation that may be separately provided by Symantec as part of the Service. “Software” means each Symantec or licensor software program, in object code format, licensed to Customer by Symantec and governed by the terms of the accompanying EULA, or this Service Description, as applicable, including without limitation new releases or updates as provided hereunder. UH-OH, WE COULDN’T RECOGNISE YOU! Unfortunately we couldn’t find your email address in our database. Please enter your details on the form and we’ll get in touch as soon as we can. Alternatively, feel free to get in touch with your dedicated account manager, or drop us an email: enterprise-sslsupport@symantec.com. Unfortunately we couldn’t find your email address in our database. Please enter your details on the form and we’ll get in touch as soon as we can. Alternatively, feel free to get in touch with your dedicated account manager, or drop us an email; enterprise-sslsupport@symantec.com. As a valued Symantec customer, we already have your details on file – all we need you do to is read and accept the following Licence Agreement. Your account manager will then be in touch within 3 business days to arrange the addition of Discovery to your account for a trial period of 14 days*.